Located on Rt. 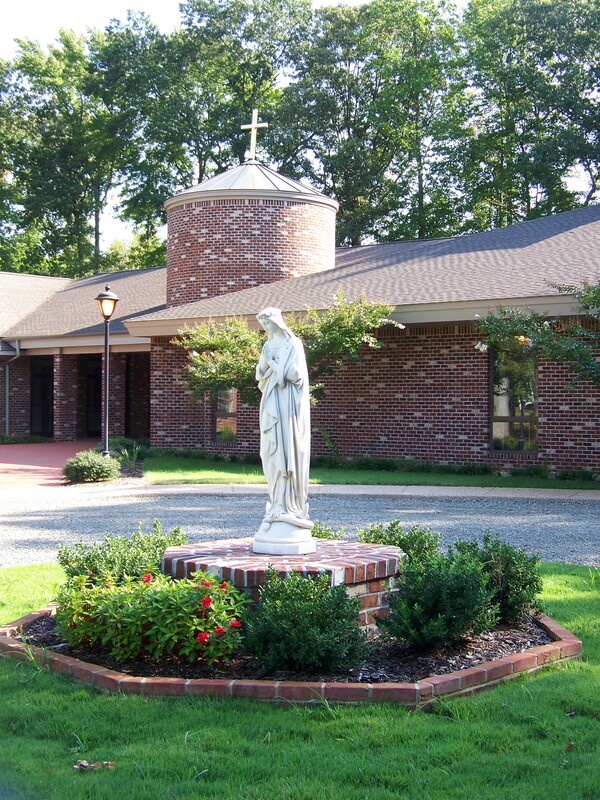 647, Lovers Lane in Mathews, Va., the Church of Francis de Sales is a growing Roman Catholic community within the Catholic Diocese of Richmond. Once again welcome to our church and to our parish Web site. May God bless and inspire you! We, the members of the Church of Francis de Sales, dedicate ourselves to maintaining a living parish, reaching all people to reflect the work and presence of the Holy Spirit among us. As disciples of Christ, we seek to nurture the talents and gifts of each member of our Catholic Community and to invite others to share with us the fundamentals of our Catholic Faith. We are the recipients of God’s reconciling and empowering love and, as His people, we are committed to proclaim the Good News of God’s Love, to witness, to heal, to teach, and to demonstrate by our faith and actions the glory of God through Jesus Christ, His Son. The parish began in 1983 with the approval of Bishop Sullivan, the undaunting prayers of the small community of Catholics and the pastoral leadership of its founding pastor, the Reverend Jack Dougher. Since 1983, the parish has grown in numbers as well as in its ministry and mission to the rural community that is Mathews County. Bishop Francis Xavier DiLorenzo is the diocese’s bishop and the Most Reverend Bishop Walter F. Sullivan D. D is the bishop emeritus. As did our patron, Saint Francis de Sales (1567-1622), the parish constantly is seeking new ways to proclaim God’s glory. A more detailed history of our Parish can be found here.